Supporters say the U.S. should export oil to keep the job boom in place and thwart OPEC. Critics worry about prices, the environment. 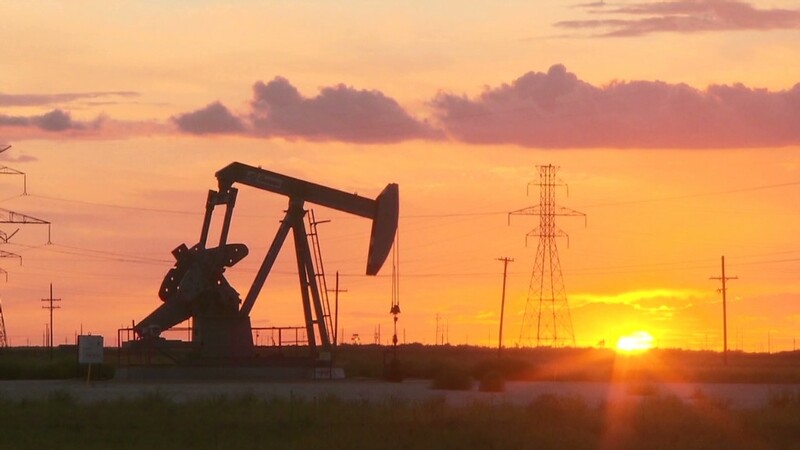 A new battle is taking shape over the U.S. energy boom. Thanks largely to the fracking revolution, the United States is now in a position to export crude oil. But should it? On the "yes" side is the oil industry, which says falling oil prices in certain parts of the country threaten investment in new drilling -- and the hundreds of thousands of jobs it's created. Also arguing yes are free market types, who say more U.S. exports could curtail the power of OPEC, perhaps lowering oil prices worldwide. 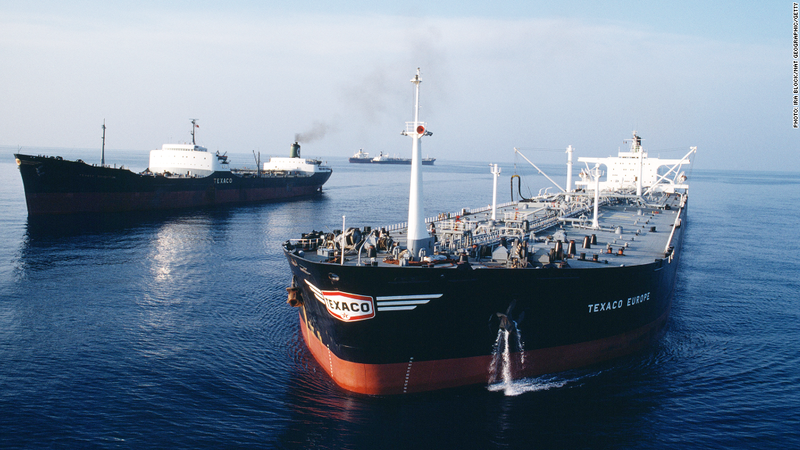 To get their way, they'll have to convince the U.S. government to lift an effective ban on oil exports -- in place since the Arab oil embargo in the early 1970s resulted in massive shortages. In the "no" camp are those concerned that some U.S. consumers may end up paying more for gasoline, and those that want less reliance on foreign oil. Environmentalists also hate the idea, noting that much of the new oil comes with a heavier toll on the planet. They promise to mount a Keystone-like campaign to keep the export ban in place. "It's going to be a very testy subject in 2014," said Tom Kloza, chief oil analyst at GasBuddy.com. Yes to exports: Last month the oil industry came out in favor of lifting the ban -- a call it's expected to make again Tuesday when it outlines its priorities for the year. "The American energy revolution has rendered our current export policies obsolete," the oil industry's main lobby group, the American Petroleum Institute, said in a December press release. "Exporting a portion of our abundant crude oil supply would provide greater stability to the global supply while creating jobs and generating revenues stateside." Others say that as a supporter of free trade, it's hypocritical for the United States to criticize, say, China for restricting the export of rare earth minerals while itself restricts the export of energy. "The United States is a country that is strengthened when we not only have free trade, but insist on it from other countries as well," said Amy Myers Jaffe, executive director of energy and sustainability at the University of California, Davis. Jaffe sees a world where U.S. energy exports -- not just oil, but renewable and tech-based as well -- can act as an alternative to supplies from OPEC or other autocratic nations. "It would be harder and harder for OPEC to push the market around," she said. There are currently no bills in Congress that would lift the export ban, but analysts expect some in the coming year. No to exports: Getting a bill passed will be tough. For one thing, there's the price of gas. Kloza said the glut of oil created by the oil boom has resulted in U.S. motorists paying maybe 10 cents a gallon or so less than they would otherwise. A spokesman for AAA said the motorists association does not yet have an opinion on the export issue, noting that gas prices for drivers in some parts of the country could rise, while for others, notably along the coasts where prices are more tied to the global price of crude, prices could fall. Keeping the ban in place does not ensure that the United States would eventually be import free. Many of the country's refineries are geared to process a heavier form of oil from Venezuela or Saudi Arabia. Those refineries would likely stay open and keep importing heavy crude, which is often cheaper, even if supplies of light domestic crude continue to rise. But some have argued that if more oil comes from North America, there's less of a need to keep such a heavy military presence in places like the Persian Gulf. Already, most of the Middle East's oil goes to Asia. Others discount this idea, noting U.S. interests in the Middle East extend beyond oil, and that a supply problem impacting China or Japan will undoubtedly affect the United States. Environmentalists are also dead set against lifting the ban. They note how much of this new oil comes with a heavier environmental impact: fracking raises ground water concerns; oil sands crude takes more energy to produce; and deep water drilling can result in massive spills. Allowing exports would lead to higher prices, they say, and that would encourage more drilling. "We've got to reduce our reliance on oil, or we're not going to be able to head off catastrophic climate change," said Michael Marx, director of the Beyond Oil campaign at the Sierra Club. "We're preparing to really gear up and fight this."